Nothing feels better than crawling on top of your well-made bed or sofa after a relaxing shower. Ah! That good vibes from the cleanliness of your skin touching the softness of your comfort place! It’s a sure way to a heavenly rest whether you are set to sleep or watch the latest television program. But no matter what you want to do for relaxation, your living room is one of the top choices for you, right? Aside from binge-eating and movie-watching, you can also sing songs, strum your guitar, do some artworks, and a whole lot more. But what if your apartment is so tiny that the idea of living room seems confusing for you? Like how do people expect you to set up a relaxing living room inside a studio-type apartment? Worry not. You can do it, buddy! Here are some tips for you. Did you know that lack of adequate light can affect your mood? As crazy as it may seem, but it is true. So wake-up with a smile on your face by opening your curtains and letting the sun shine inside your tiny apartment. Letting the light in will also make your small space look larger, cleaner and more welcoming. You can try creative lighting effects if your place lacks adequate natural light. But if you have access to it, open your windows. In fact, the larger windows you have, the better lighting you’ll get. Here’s the magic behind: opening your windows will instantly connect the room with the outdoors, no longer limiting your space. Invest in flexible furnishings by choosing elements that switch-hit. Go for table which can also function as a desk or a dining table. 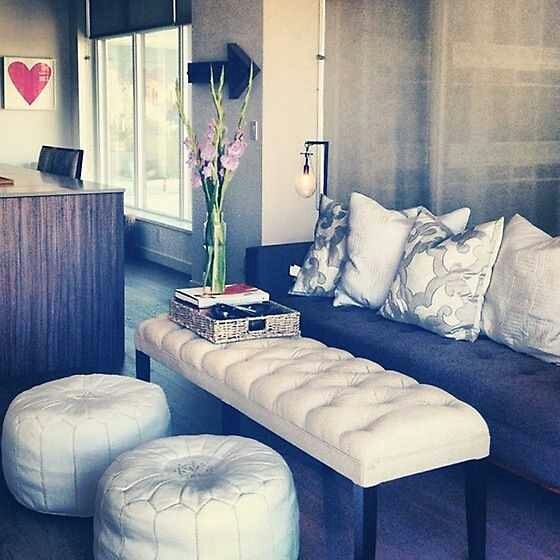 Daybeds or deep sofas are great multifunction space savers too if they can double as beds. You can opt for pieces that can be rearranged to save space like folding chairs, collapsible tables and hanging organizers. You can trick your eyes into seeing a tiny living room as a big one using decorations such as mirror to create a vista, bring light into dark spaces, and create faux doorways or windows, all of which make a room seem bigger. Another good option is from floor-to-ceiling curtains that make your room appear taller. 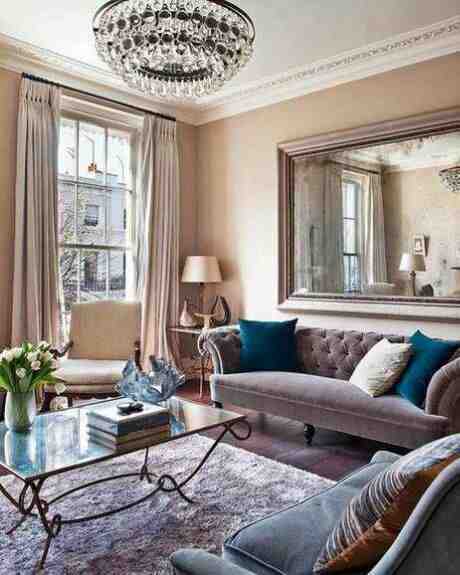 Pick a glass table, too because glass furniture seem to disappear and give you more space. Remember, you have a small space so don’t cram everything in it. No matter how elegant looking that six-seater couch is. 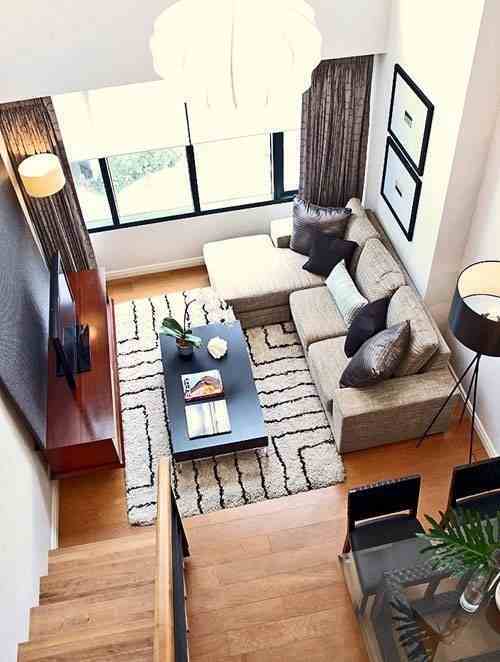 If you want to have a good-looking, spacious living room in a limited space, go for sleek and lean furniture. Looking for a color palette that won’t make your room cluttered? This tandem of cream colors and icy blues can convert a tiny interior into a seemingly bigger living area. The fact is light colors make a room look bigger and brighter while light and brightly colored walls make a space feel open and airy. Rather than giving your living room dramatic contrasts, blend the colors in your furniture, flooring and wall covering. 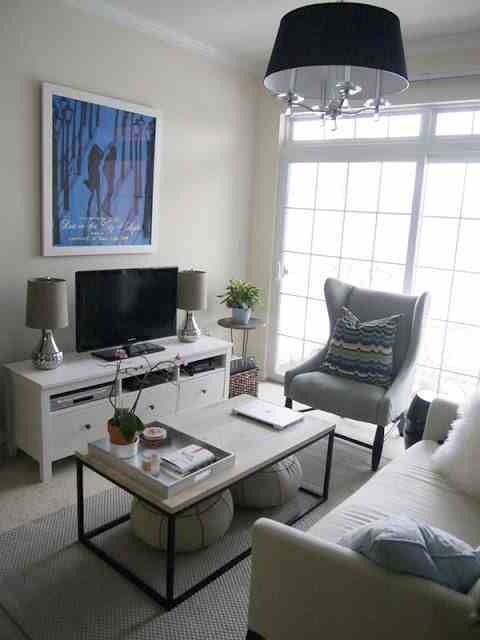 Solids with small- and medium-sized prints will also work well for your living room. If you’re into bright colors, accent pillows and a decorative throw in the living room can also satisfy you. A tiny apartment seems really a challenge in the beginning especially with those big mattresses and couches. But if you know how to navigate your way pass this limited space, you’ll realize that size doesn’t matter at all. The concept of small, after all, depends on a person’s view. Reema Marquez is a professional writer based in Manila, Philippines. A student of Interior Design, she loves to eat ice cream and watch basketball games. Follow her on twitter.